The Wates Group has been re-accredited for the Investors in People (IiP) Gold standard for the third consecutive time in what assessors have called a “remarkable achievement”. The IIP commented that reaccreditation was a remarkable given the continually increasing requirements needed to reach this status, and the amount of growth and transformation that had taken place within Wates since the last assessment. “The assessment revealed an organisation that has an unrelenting belief in delivering high performance through people and has continued to evolve and mature the organisational strategies and processes that are clearly focused on the ambitions for sustainable growth and excellence,” commented IIP. The assessors were particularly impressed with Wates’ clarity of vision for a sustainable future and a strong values-based approach to engaging people in achieving excellence. This was exemplified in the way that Zero Harm had been successfully promoted and embedded within the culture. Key to this success was “cohesive and transparent leadership from the top supported by a Board that takes a long-term view of sustainable improvement”. 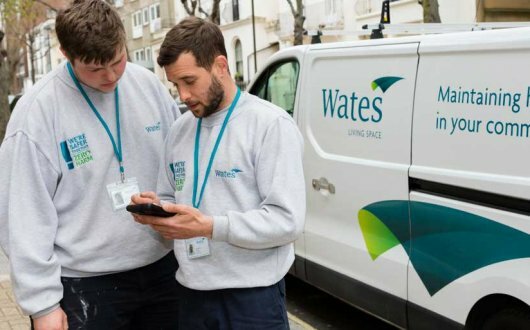 Achieving Investors in People Gold, for our third consecutive three-year period, is a wonderful achievement for Wates and is a fantastic endorsement of our commitment to our people. Investors in People is a national quality standard which defines good practice for improving an organisation’s performance through the management and development of its people. Since it was developed in 1991 the standard has been reviewed every three years to ensure that it remains relevant and accessible. Last year in the UK there were over 11,000 accredited organisations, of which only 13% had achieved IIP Gold status.